This pop-culture condenser, an offshoot of E! forebear Talk Soup, has outlasted many pretenders to the throne to become an attention-span-theater fixture among the snark set. 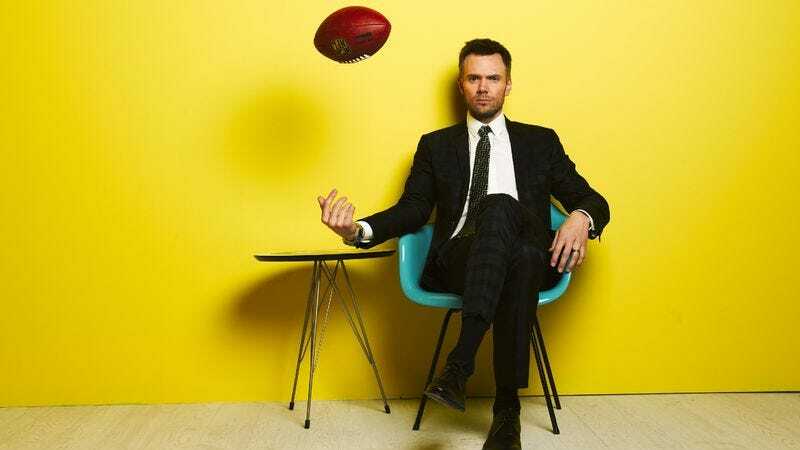 Without particularly revolutionary tactics, the show’s success comes from three solid ideas: that television’s endless parade of the absurd and sublime will provide fresh grist for the mill, that celebrities poking fun at themselves will never get old, and that host Joel McHale will manage to turn a newsroom-lite hosting gig into an remarkably seamless blend of that teenager in the audience who shouts out the secret to the magic trick and that friend three degrees meaner than you who tells you about this amazingly awful thing he saw on TV last night, 500 times in a row. And episode 500 sees no reason to stray from the formula. The absurdity of TV is on display this week as much as any other; the recursive selections on which each rapid-fire episode is based often have little in common thematically, but all it takes is a clip of someone calling in to Watch What Happens Live with Oprah as its guest to ask Andy Cohen a question (McHale: “Andy, if I ever got a chance to ask Oprah a question, what should I ask her?”) to bring the point home: Everyone needs an occasional double dose of hilarity and misanthropy, and nothing provides it like TV. Those expecting huge celebrations to mark the 500th episode would be disappointed. The celebrity guests are par for the course, with BJ Novak as an unwilling social media correspondent, and Lou Diamond Phillips taking a break from Wilson Phillip Phillips Phillips to drop by for some sidekicking, gamely spinning out a gag about being trapped in the E! Studios since promoting La Bamba in 1987, and the show’s retrospective clips are thin on the ground, either too clever or too pressed for time to rest on its laurels. This is a show meant to hold up a mirror, and it would prefer to keep the focus on the accidental innuendos of Deep-Fried Masters where it belongs. It’s not a perfect formula; reality shows are in on the joke and telenovelas weather camp like you can’t even believe, but occasionally, the show aims for Daily Show commentary and doesn’t always strike the mark. “Live shows are getting dark,” McHale intones, after a zinger about Chris Brown (“You can’t beat the system, mostly because the system is not a woman”) but before he and Phillips go for an extended “milestone TV” riff on the Man with the 132-pound Scrotum; not above striking an easy target, is The Soup. But by and large the show has maintained the nimble, cobbled-together but culture-savvy feel that’s served it well 499 previous times (though not without some polish: note the chyron helpfully sourcing McHale’s designer wardrobe), and McHale’s arch sarcasm is well-suited to the manufactured self-seriousness of most of his subjects. But it’s McHale’s continued, sometimes grudging investment in TV that keeps the show from tipping over the edge of self-awareness and into the meta abyss. He’s at his best when calling Secret Life Of The American Teenager to the carpet, gleefully watching edited footage of the cast of The Hills being hit by buses, or—this week—derisively setting up the last episode of Whodunnit?, in which the final two contestants have to decide which of them is the murderer, before introducing a clip of the big reveal (“Enough of the riddles, the ruckus, the rhymes. I committed those murders 11 straight times”) that comes dangerously close to making Whodunnit? look like the best show that has ever graced the airwaves. And the show knows it. It’s a healthy thing to approach the dark corners of the TV landscape with a particular caution, prepared to be both aghast and delighted, sometimes simultaneously, and condensing the findings as tightly as The Soup still manages to do is no small trick. With that formula still well in hand, it might be set for a few hundred more episodes. Sorry, Ryan Seacrest. How much did Joel enjoy getting to say “This master…baited me” on live television, on a scale of one to Jeff Winger? Speaking of Jeff Winger, I can’t believe he couldn’t get anyone from Greendale to stop by and enjoy a 500th episode of something.